I just finished a new DBA element. Hat has a very nice 1/72 scale Roman artillery set, #8035 - Roman Catapults. It's meant to go with the rest of their Punic Wars range (the box also includes velites and hastati). The sculptor was very wise in not including helmets. This allows the artillery men to be used in any Roman army up to about the 3rd century AD. 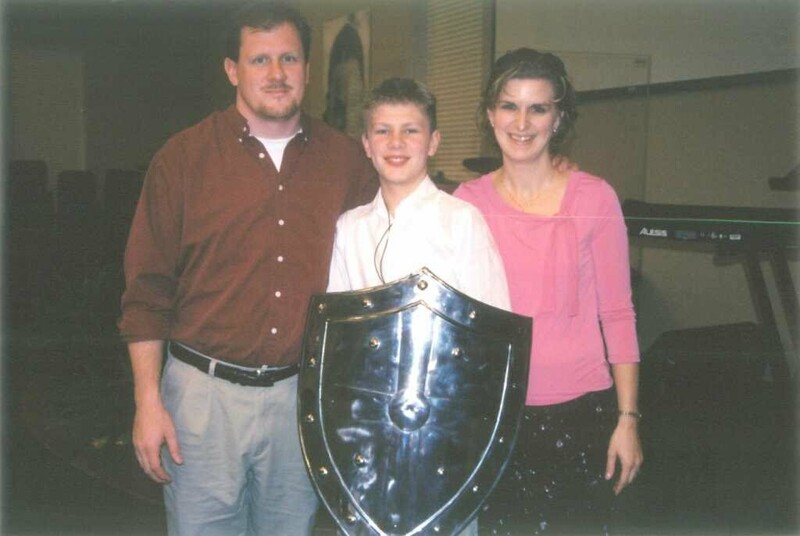 This style of chain mail armor was long in use. 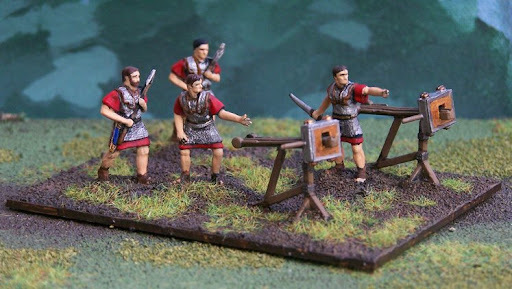 These small and mobile catapults used here are the Roman scorpio. They were perhaps the most common artillery pieces used in the Roman army. Hat's models leave the face of the scorpion exposed. I thought it would be nice to add a protective front plate. A 1st century AD bronze front plate was found at Cremona, Italy. These are also depicted in sculpture. To create front plates for my models I glued on a small rectangle of paper, painted gold/bronze. The models had strange handle-shapes to the rear. There is no historic basis for those, so I just snipped them off. The base is 60 x 80 mm to be played in DBA (this is the size suggested for 25mm models). The rules call for only one artillery model per base, but I think it looks much nicer to have a pair of scorpions and a team of artillery men. This unit can also serve in my forthcoming 1/72 WAB army. Greek and Roman Artillery, By Duncan Campbell and Roman Artillery, By Alan Wilkins. I love this set and you have done a great paint job. I prefer Zvezda to Hat, but sadly Zvezda doesn't make an artillery set. This will do just fine. I prefer Zvezda too. The quality of their sculpting is excellent! But you gotta love Hat for their extensive catalog. I think the testudo figures in Zvezda's Imperial Roman set could work. If you leave their shield off it looks like they could be working an artillery piece.